....Con is in there somewhere! 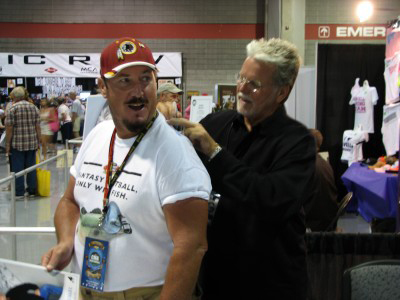 Actually this fan is getting all his favorite artists to sign his shirt. It will be a sure one-of-a-kind! 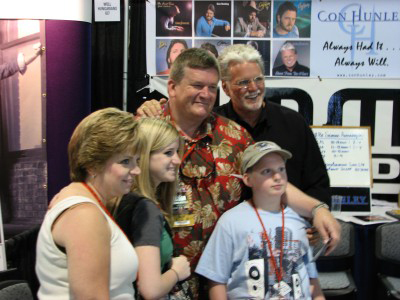 This little darling was so thrilled to get to see Con in person. 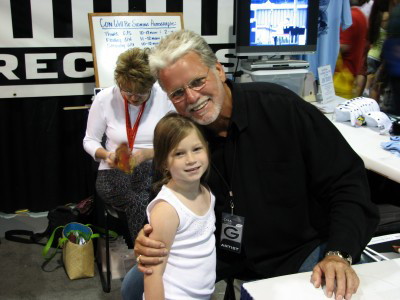 Con autographed a picture for her, and she also had a memory book she wanted him to sign. 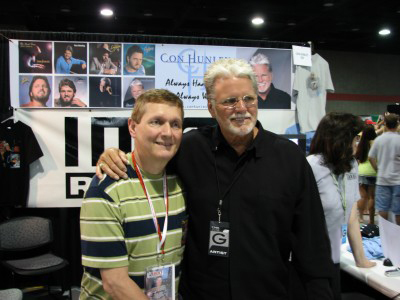 Any fan will tell you that Con is such a genuinely nice guy...that's why they come back year after year! And new fans make the promise to see him again next year! 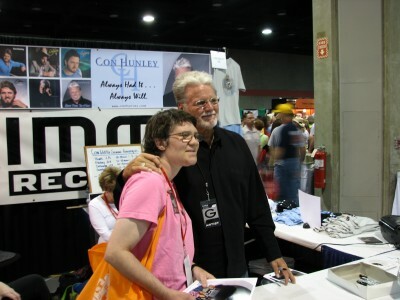 Con saw countless fans today, but it is a short day in the booth for him on Day Three.There is an early sound-check scheduled for his big show at the Country Music Hall of Fame tonight! Tickets went fast, and with only 200 seats in the theater there were a limited number of lucky fans who would get to see the show! 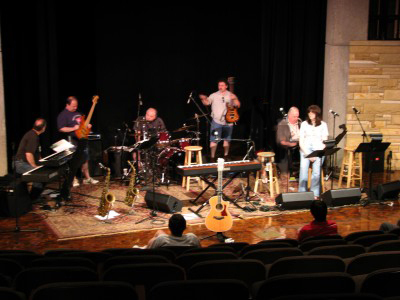 Here is a picture of some of the band and crew at sound-check before Con arrived. 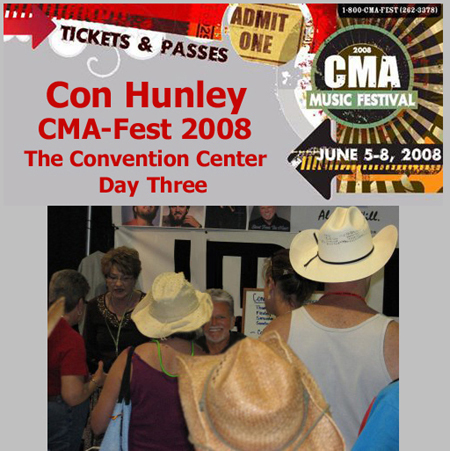 Be sure to check out the photos from this fabulous show on Con's CMA-Fest 2008 Performance and Personal Appearance pages and also check out photos from Day Four at the convention center!